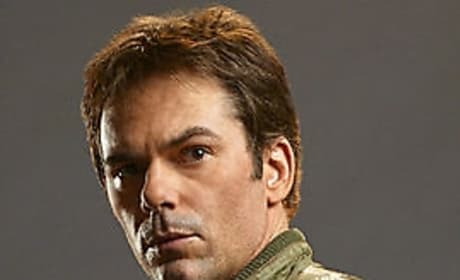 Billy Burke plays Miles in "Revolution". Welcome to the world of Revolution. This is a picture from the 9/17/12 series premiere. 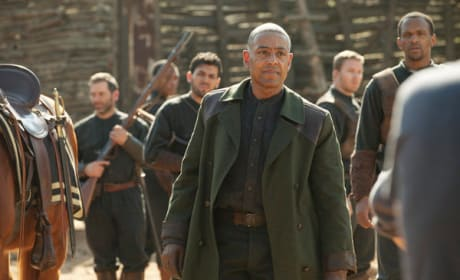 Giancarlo Esposito anchors Revolution as the character of Lt. Neville. This is a photo from the series premiere. Revolution focuses on survivors in a world without electricity. 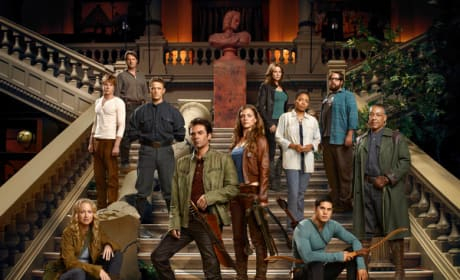 It stars: Anna Lise Phillips as Maggie, Graham Rogers as Danny, Tim Guiee as Ben, David Lyons as Bass Monroe, Billy Burke as Miles, Tracy Spiridakos as Charlie, Andrea Roth as Rachel, Maria Howell as Grace, Zak Orth as Aaron, Giancarlo Esposito as Lt. Neville.